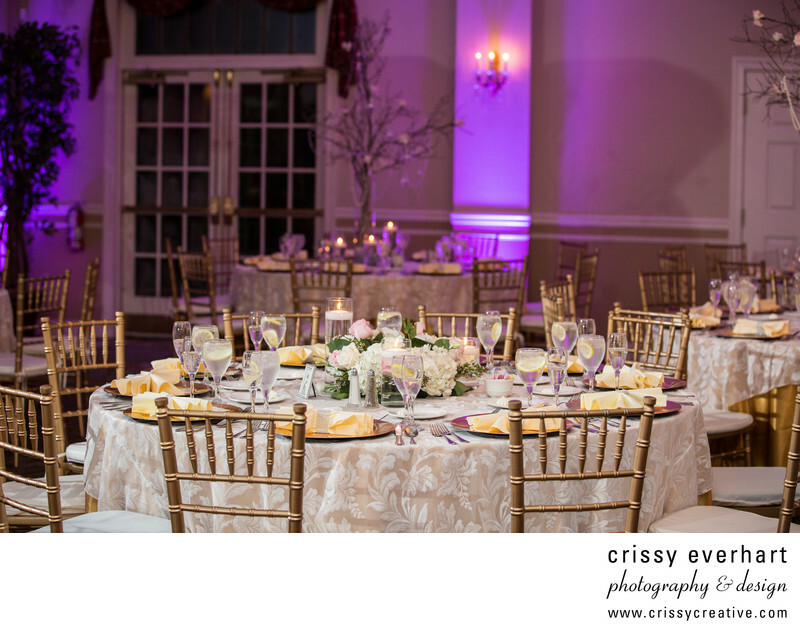 Ivory and purple and gold are the main colors for this wedding reception at Belle Voir Manor. This table has a low flower arrangement of white and pink roses, and gold chargers for under the hot plates when they come out. Gold chairs and a light gold pattered tablecloth also add some glamour! The room has purple uplighting on the walls.